Happy 4th, M family! I just love the one of Carter and Mac looking at each other. Melt my heart! I haven't gotten to bee bop around here much since your second little darling was born. He looks absolutely precious, as does Carter. Happy fourth and I hope you're doing well! 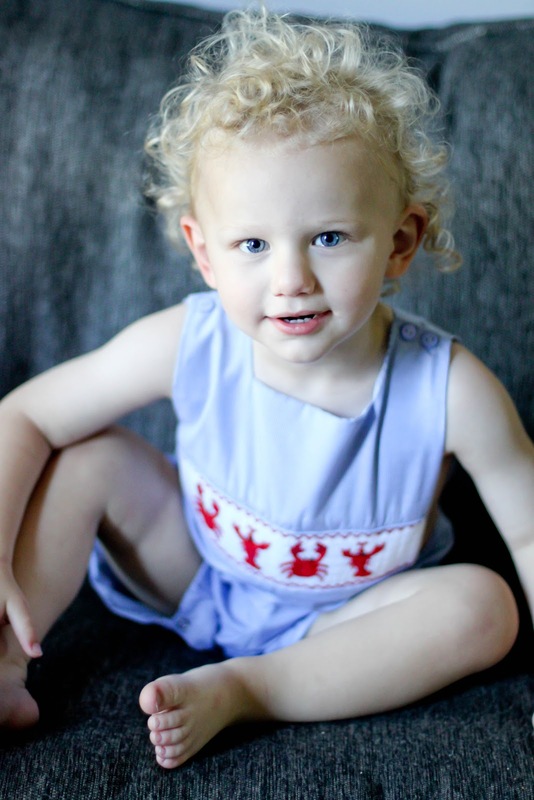 So precious---where did you get that adorable romper?! Happy 4th of July! Way too much cuteness for one post! SO cute. I love the crab/lobster gettup. I actually have quite a few cute little crab things that I picked up since, you know, I WAS SO VERY SURE that C2 was a boy. Happy 4th to you and your family!!! Maclane is just soooo sweet! And Carter, as cute as ever! This makes me so excited for little man #2 to make his debut in October! 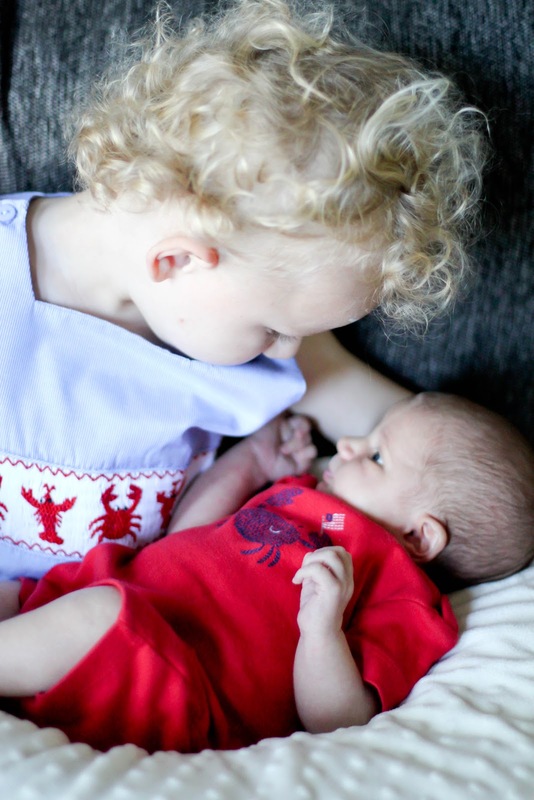 I can't wait to see how little brother Mason and big brother Parker interact with each other! Clearly your boys have a bond already! Those boys melt my heart!! 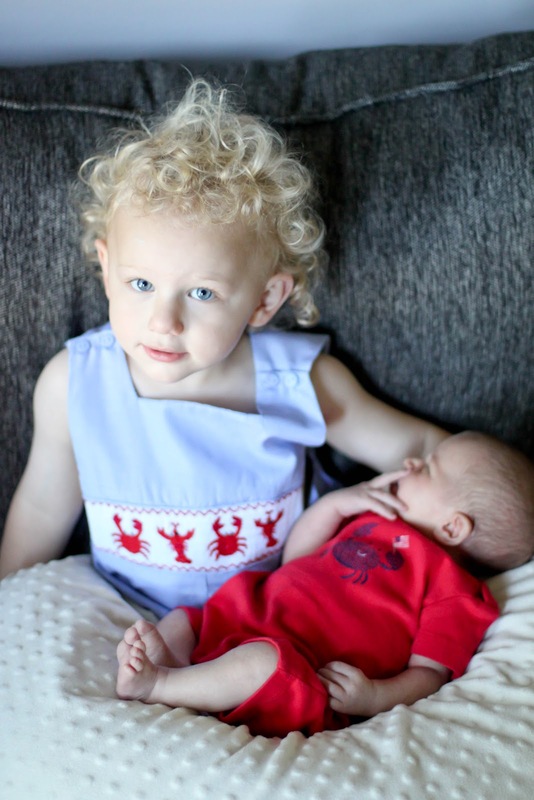 Good lord, I don't know what's cuter - the squishy baby, or Carter in the flippin' adorable smocked outfit with those amazing curls.... AH how does your face not explode every day watching these two?!? !